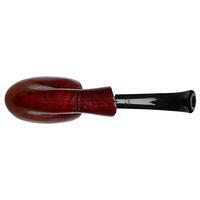 Deep of bend to emphasize the distinct S-curve from bit to heel, Castello's iconic bent Egg is offered here in a lovely, ruby finish. 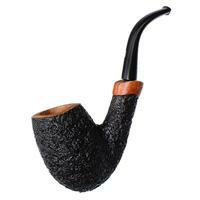 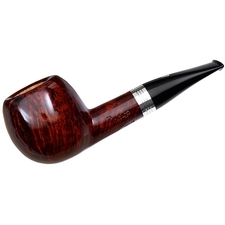 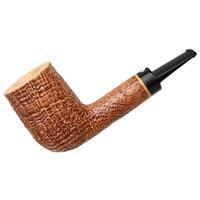 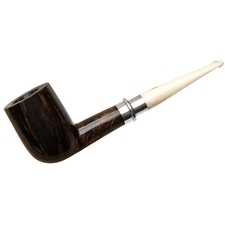 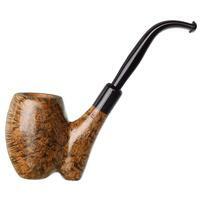 Brighter than, say, Dunhill's smoky Bruyere, the stain on this piece really pops in contrast to the jet-black stem. 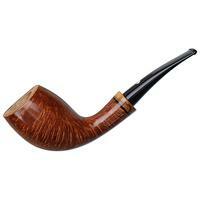 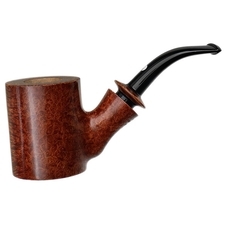 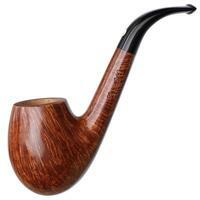 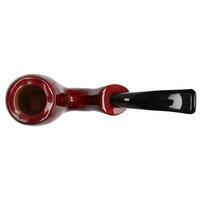 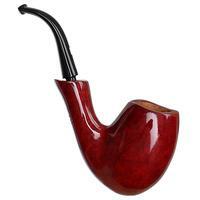 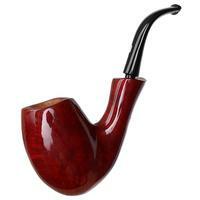 Shape-wise, the bowl is more tall and slender than it is plump, featuring a firm heel below. 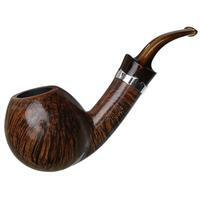 Above, the rim undulates slightly, matching well with the pinched waistline of the shank to accentuate the form's fluidity and flowing lines all around.